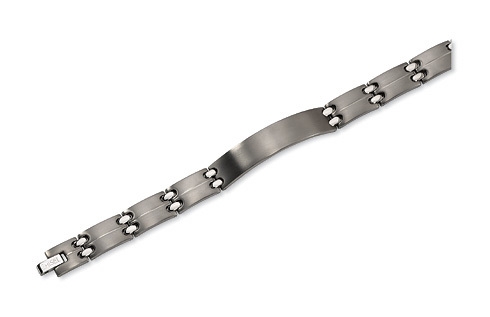 Titanium brushed and polished ID bracelet. Fold-over clasp. Engravable ID bracelet is 9 inches in length. Imported.